A notice of loss must be filed listing the location, the crop and the number of acres that are prevented from planting. The notice can be filed anytime after the final planting date for the pp crop until 72 hours after the end of the late planting period (25 days for most crops). 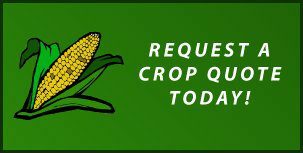 Crops with a May 31 final planting date could be filed from June 1st through June 20th. The pp acres must also be reported on the acreage report for insurance to attach. The crop listed on the notice of loss can not be changed when doing the acreage report but the number of acres can be adjusted to match their FSA certification. If you fall into the situation of having a PP claim please notify FSA that you are filing a PP claim and also certify those PP acres in their office as well. The indemnity received on pp acres is equal to 55% for Corn & 60% for most other crops of the regular(planted) guarantee for that unit. Producers now have the PF option of raising their PP coverage an additional 5% for most crops. The PP+10 option has been deleted and no longer is available. The number of acres eligible for prevented planting is determined by crop and by county and will depend on the number of acres that were able to be planted. The number of planted acres of a crop within a county is subtracted from the greatest number of acres of that crop which was insured (planted and prevented ) in the last 4 years. The difference is the number of acres that remain eligible for pp. If no acres remain, the acres will be shifted to a crop that does have eligibility remaining and to a unit which pays closest to the crop reported. The number of acres in a unit will determine whether 20 acres are needed to qualify for pp or if 20% of the unit is the qualifier. The unit of a crop will consist of both the planted acres and the acres reported as prevented. 20 prevented acres are needed on units of 100 acres or more. Less than 20 acres of pp can quailify on units less than 100 acres. A 50 acre unit consisting of 40 planted and 10 prevented acres would qualify for a prevented planting claim. It is important to remember that rotation requirements also apply to prevented planting acres. When part of a field is planted and part is prevented, the pp acres must be reported as a crop that is planted in the field unless there is a two crop history on that field. When the entire field is prevented, the insured can report as any crop on the policy. As an example, if an insured reports prevented planting sunflowers because they think it is the highest paying crop but sunflowers or any other crop that would make planted sunflowers uninsurable were planted on the field last year, no payment could be made on the acreage. The pp indemnity will be reduced by 65% if the acreage is later used for haying or grazing before Nov. 1. A crop for harvest as grain may be planted after the end of the late planting period of the pp crop also with the 65% reduction. A cover crop may be planted on the acreage without indemnity reduction as long as it is not harvested, hayed or grazed. Most pp acres are left idle or possibly planted to winter wheat later with no indemnity reduction. *This is general Information please consult your provisions for official language.